GREAT FINANCING to fit your budget! 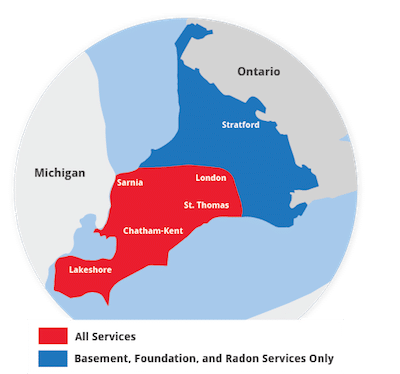 Advanced Basement Systems offers financing for basement waterproofing, foundation repair and crawl space encapsulation services in London, Windsor, Chatham, Sarnia and throughout Ontario. Now you can get your leaking basement fixed without waiting until "next year" or "soon", with low cost rates. It's easy, hassle free and you'll have peace of mind knowing your wet basement is dry all the time! We offer our customers the option to make easy monthly payments with Financeit. Once you submit your application for an installment loan through our personal profile on the Financeit website and receive approval, we will help you complete the application process. Call us at 1-844-320-1542 to speak with our professionals who can answer all of your questions about financing or sign up for a Free Estimate. We're here to help!